A range of animated explainer and testimonial videos for an accountancy firm based in London and Oxfordshire. Wellers is an accountancy firm with four offices across the UK who work with start up entrepreneurs, owners of growing businesses and private individuals. We were initially briefed to create an animation for Wellers’ employees explaining the attributes and values the firm lives by. The brief soon evolved into a suite of animated video content that would become a key component of Wellers’ content marketing strategy. After producing the initial internal animation, we started work on a homepage explainer video that would help potential clients understand Wellers’ approach to client service delivery. Using their ‘Business Oxygen’ positioning as a central theme, we created a 2D animation that brought the term to life, depicting an idealistic future for business owners with plenty of references to nature and oxygen. 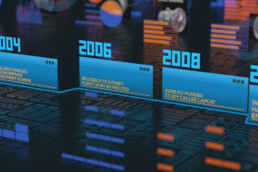 An interactive feature at the end of the animation allowed viewers to identify what stage they were at in the business lifecycle, leading them to relevant landing pages and further content on the Wellers website. 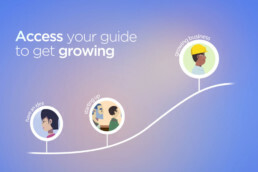 We created characters for three core customer types — those with an idea for a business, those starting up and those with an established business looking to expand. This has been followed by a selection of live action testimonial videos which relate to each of the customer types. Wellers are enjoying more leads and opportunities as a result of the videos we produced. 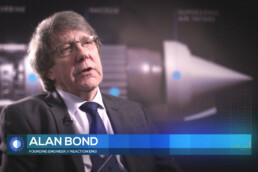 We continue to work across various aspects of Wellers’ business, helping them improve engagement levels and use video content to reach their target audiences.